And then furthermore in Mark: 12:31, the Bible commands us to love others as ourselves. We all view the world through our own cultural lens, so it is important to teach children that we all have beliefs, biases and underlying assumptions which influence our actions. Other cultures are studied and children become aware of their prejudices as they compare and contrast their way of life to others. Indeed, the upper primary children are given the opportunity to go to Sulawesi in Northern Indonesia every second year, visiting local schools, villages and orphanages. This fantastic trip opens the students’ eyes and gives them a genuine appreciation of the world beyond our own doorstep. We at CCS take seriously the overarching vision of the National Safe Schools Framework “All Australian schools are safe, supportive and respectful teaching and learning communities that promote student wellbeing.” We take pride in the fact that 100% of the respondents to our school survey either agreed or strongly agreed that their child feels safe and really likes attending school every day. 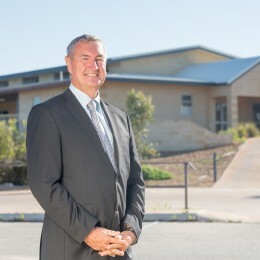 I thank God for the great privilege it is to lead at Carnarvon Christian School.